…I’m Italian. Everybody thinks I’m Irish [because of his red hair color], but I’m 100% Italian, and nobody believes me… [My hair is] like Sicilian red hair… It’s like an auburn… Sicilian auburn, and nobody gets it. 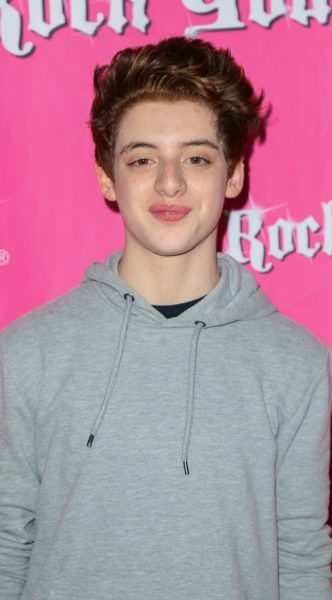 His sister, Brielle Barbusca, is also an actress. Thomas’s grandmother is the daughter of Nicola/Nicholas Contessa and Francesca/Frances Bellettieri, who were Italian immigrants. Nicola was the son of Rocko Contessa and Maria Latronica. Francesca was the daughter of Salvatore Bellettieri and Rosa Laguidire. Louis Barbusca and Debra Barbusca mentioned here are his parents, which means Rosalie is his paternal grandmother. The obit lists Marie Lawrence as being the grandmother of Thomas and Brielle. She could also have two grandchildren with the same names, but that makes it unclear. Louis Barbusca is her nephew according to the obituary and Debra is his wife. Louis and Debra are Thomas’ parents’ names , per his and theirs social media. Rosalie shares Louis’ last name, and is Marie’s sister. I know, but it’s curious. Anyway, I don’t know that it matters that much, since the genealogy of Barbusca’s great-grandparents, and onwards, is the same either way. His birthday is around 03.03. 2003.